It's time to get dirty girls. 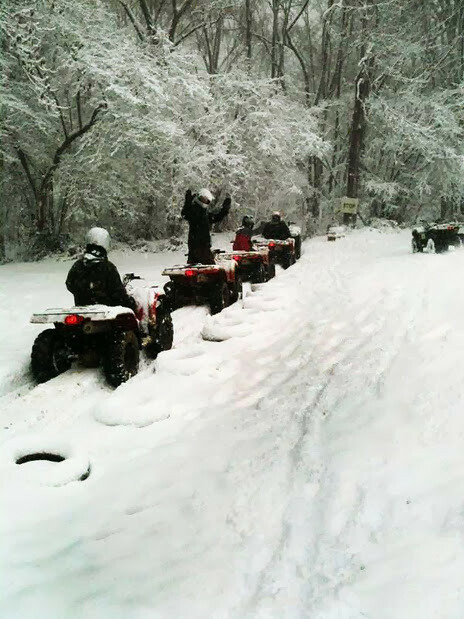 Get all your hens together and head out to experience a quad biking session. You will be have an experienced instructor with you who will take you along some amazing forest tracks and a cross country ramble - watch out for the mud!!! Want An Exciting, Dirty Hen Party That Doesn't Involve Clubbing and Endless Alcohol? In that case, you've found the perfect idea to kickoff your next hen party. 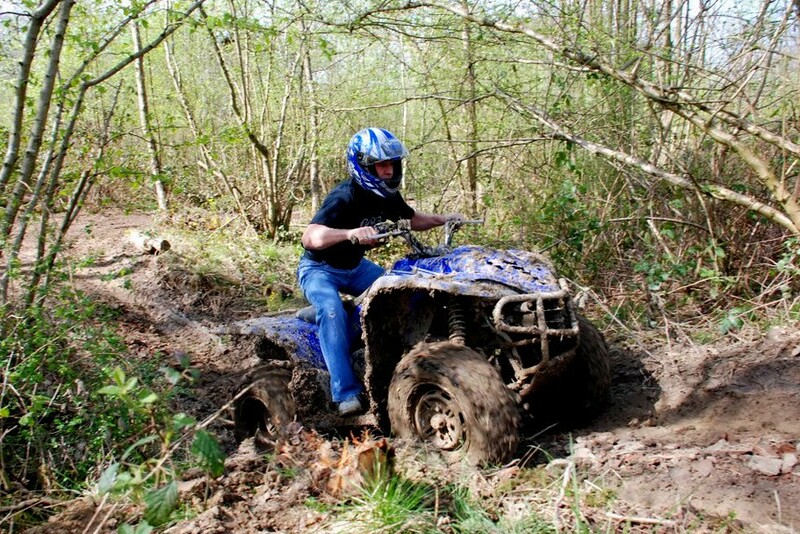 Our Quad Bike racing party offers the best combination of adrenaline-pumping action with copious amounts of mud and dirt. 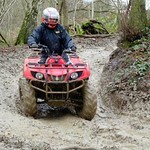 Nothing quite compares to the pulse-racing excitement of a powerful 350cc quad bike flying down a muddy track. 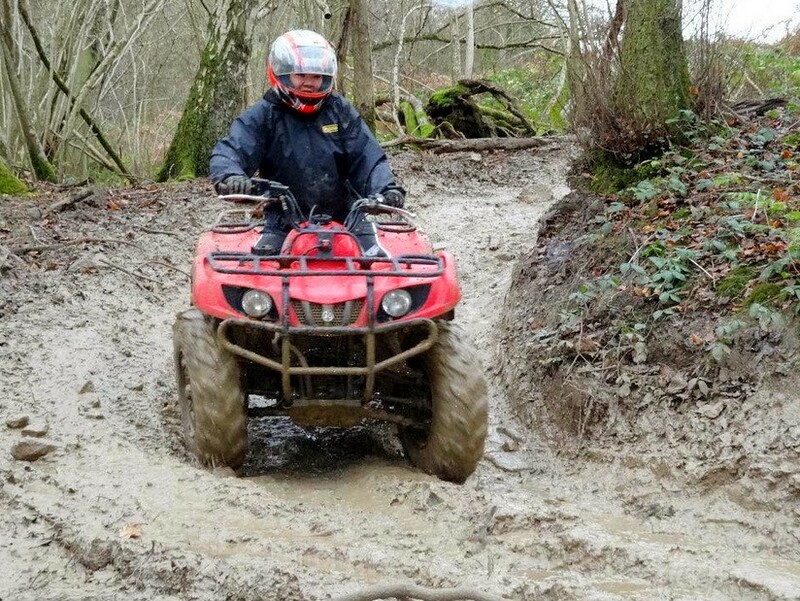 Best of all, our quad racing service is specifically designed for novices, so no previous experience is needed to start enjoying these powerful machines. In fact, professional instruction is provided to ensure that all members of the party remain safe while still having a fun time. 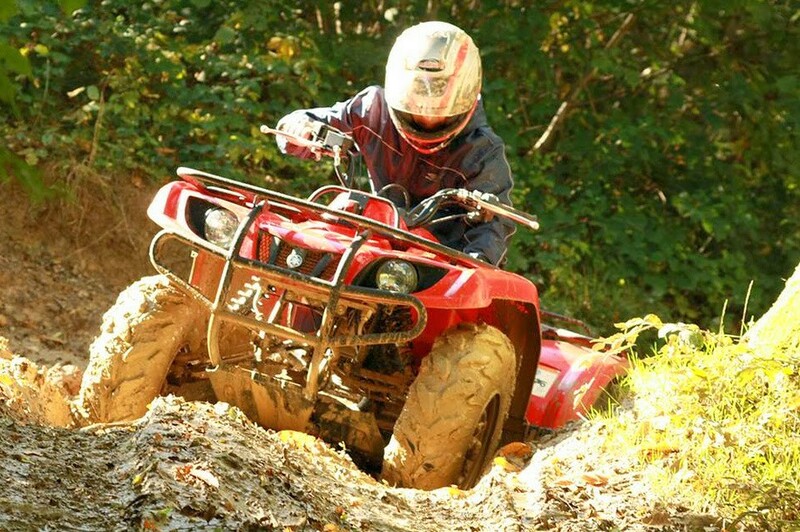 Once everyone has the basic fundamentals of operating a quad down, it is time to head out on the five mile safari track that winds through several acres of woodland. A brief safety instruction will be given at the start of each event. After that, members of the party will hop onto their very own quad bike and will be given additional instruction to familiarize them with the controls. The instruction is designed to be progressive, so that hens are completely comfortable with riding the bike and eventually heading out on the track. 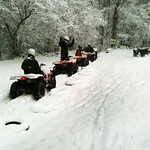 The idea is for everyone to have an enjoyable time while also allowing for participants to gain the confidence they need in order to safely ride the quad. By the end of the training, one should easily be able to complete the entire track course. 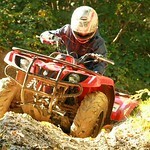 All safety gear as well as the quad bikes will be provided to every participant the day of the event. Additionally, overalls and waterproof clothing will be available. Only adults are allowed to ride our Grizzly Quads and Yamaha Wolverines. There are no exceptions to this policy. While we enjoy offering these outdoor events to customers, we cannot control the weather. As such, it is inevitable that on certain days the weather will be less than hospitable. When this happens, it is advised that participants bring an extra change of clothing and an additional pair of shoes to the track. Conditions can become muddy very quickly, so please consider also wearing an older pair of shoes during the ride. A minimum number of six individuals is required to book a party. The quad racing party lasts an average of about one hour, although additional time can be booked if one chooses to do so. Starting times for these events vary, with bookings available between the hours of 9AM to 3:30PM. For additional details or to inquire about current rates, please contact our office today. 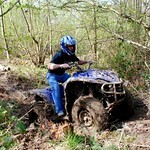 Give you hens an adrenalin rush and take them on a quad bike. You will be set challenges where you have to negotiate some obstacles. A great laugh that will keep you all smiling. Driving and Shooting- what could be better than that? After ripping round on the quad bikes- who will still be steady enough for the shooting?